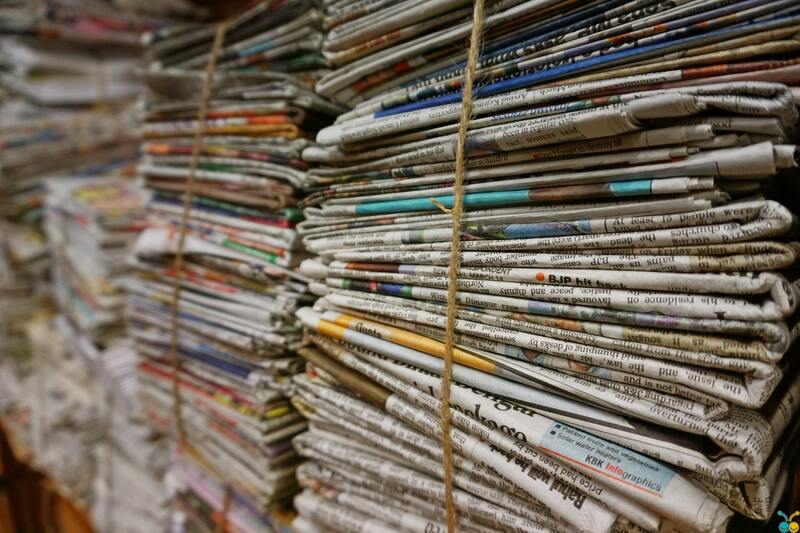 We consume the amount of information equivalent to 174 newspapers a day. Today we consume five times more information every day than we did in 1986. Roughly every 15 minutes we are notified of a new piece of information available to us. In contrast, George Washington, reportedly, had to wait two weeks to discover that he had been elected president of the United States. One would think that we would be the best-informed people in history. Yet, unfortunately, this does not appear to be the case. Scores of average American adults on tests of general civic knowledge – the type of information you’d assume people would pick up from scanning through all this information – has remained almost constant for the last 80 years. In fact, in a 2011 survey of American citizens, almost 30% couldn’t name the vice president. We’re consuming more information but learning less. Our value for information has gone down: Today, anybody can write about anything without any credentials or relevant experience because it so easy to put information out there for the world to see. The basic laws of supply and demand tell us that as the amount of stored information increases, its value goes down. And the amount of information we are creating is increasing at an astounding rate. Google CEO, Eric Schmidt says that every two days we create as much information as we did up to 2003. While that may be hard to believe, consider that over 2.5M blog posts are written every day. The abundance of information and ease of creation have led us to have a lower value for information. This is in part because there is so much of it and in part, because the quality of the information is so varied. As our value for information has gone down, so has the likelihood that we’ll retain it and apply it. Our value for retaining information has gone down: Because information is so accessible these days we are under the impression that it doesn’t matter if we don’t retain what we read. After all, we can just ask Siri, Alexa, or Google. Today, almost 80% of Americans own a smartphone making the vast world of information accessible at their fingertips. Now, admittedly, this makes sense to an extent: why memorize something if you can pull it up on your phone in less than a minute? Nevertheless, the result is that we approach information with a reduced expectation of how we should interact with it. In addition, relying on a machine or online network to hold information for our brains limits our ability to do higher-level thinking because it makes us less capable of creating lasting mental frameworks that makes it easier to retain and understand new information. Our value for deep learning has gone down: In today’s online environment, one minute we’re reading about Rihanna’s last vacation and the next we’re reading the latest research on autism. The effect: we know too little about too much. Our brains go through a pinball-like experience most days. Research has shown that consuming too many different types of information makes us less likely to retain and understand what we’re consuming. For example, people who read text with many links comprehend less than those who read words printed on pages and people who watch busy multimedia presentations remember less than those who take in information in a calmer environment. Advancements in technology have reduced our value for information, retention, and deep learning, mostly without us knowing, but our fate isn’t sealed. We can learn four ways, based on learning theory, to become a more productive learner. Explore those four ways in the related article: Become a More Productive Learner. Matt Plummer is the founder of Zarvana, which offers online programs and coaching services to help working professionals become more productive by developing time-saving habits. Before starting Zarvana, Matt spent six years at Bain & Company spin-out, The Bridgespan Group, a strategy and management consulting firm for nonprofits, foundations, and philanthropists.